Should you cancel your credit cards? Dan Danford, Founder and Chief Executive Officer of Family Investment Center, answers this week's episode of Money Made Easy. Concerns about one's credit score is one of the more frequently asked financial question submitted for financial adviser Dan Danford to answer. Credit scores are all about one thing: Can you pay your bills? So how does canceling a credit card help or hurt your credit score? 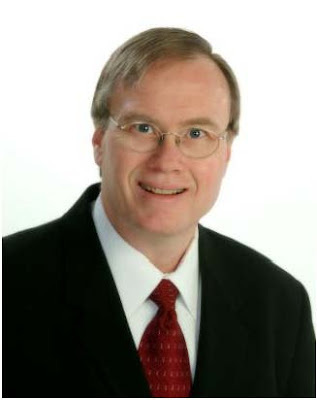 Dan Danford started Family Investment Center in 1998 to help families manage existing investments and grow financially independent. The firm currently serves over 150 key client families along with companies, retirement plans, and nonprofit groups. Family Investment Center is a commission-free Registered Investment Advisor stewarding almost $100 million. Danford was interviewed in his St. Joseph office. Why write a book? Surely there are enough investment books in the marketplace. True. But there’s a big story not generally told to consumers. I’m still astounded to encounter people who think of investing as a big game of chance. In truth, there’s solid science to investing, and I think it’s time for families to know about it. Instead, it’s often been limited to wealthy people and large foundations. Why hasn’t this story been told to consumers before now? It’s a function of the investment distribution system. Smaller investors – the typical family – buy investments through retail stockbrokers, insurance agents, banks, and fund salespeople. These channels focus on selling, and selling doesn’t allow much time for good consumer education. Still, there’s no shortage of investment information. Just look at the consumer press, though. I mean really look at the headlines and magazine covers. They simply mirror things that consumers already think. They’re selling buggy whips to horse owners. No one bothers to mention that Henry Ford created the automobile. Many financial salespeople do the exactly same thing. Surely you’re not comparing yourselves to Henry Ford. Of course not. We simply report the excellent work of others. Believe it or not, there’s a very large body of research about wealth management. Our book suggests over a dozen titles for further reading. Many, many, many people have contributed to the field and we’re not even part of that development. But I have taught investment classes in the business department at our university and I’ve spent nearly three decades managing money for wealthy people and groups. Why Million Dollar Management? Many readers don’t have a million dollars. And many financial professionals don’t manage a million dollars, either. That’s part of the point. Our sub-title is “Simple Lessons to Use Wealth Management Principles for Your Family Investments.” Many of these principles were originally discovered while studying and building large investment portfolios. But they work just fine with smaller accounts, too. 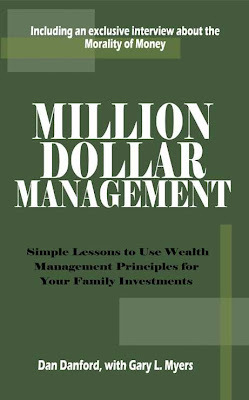 That’s the first message of our book – families will enjoy more financial success if they manage resources in the same way as savvy millionaires. What’s a good example of a difference between millionaires and the rest of us? Dan Did you know that only one percent of millionaires trade stocks on a daily basis? Another one percent trade on a weekly basis. When Tom Stanley and William Danko wrote The Millionaire Next Door [1996, Longstreet Press] they found that fully 42 percent of interviewed millionaires hadn’t made a single trade in their portfolio during the prior year! Is that what you’d conclude after reading most personal finance magazines? I don’t think so. Okay, you’ve made that point. Are there other messages in your book? We think a lot about the morality of money. The notion that money is a responsibility and those of us blessed with having it should exercise sound judgment in its care and maintenance. We highlight some practical and religious family stewardship issues. You’re beginning to sound like a prudent bank trust officer. How much has prior banking experience influenced your investment thinking? A lot. I learned some terrific things during fifteen years as a trust officer. The best things we’ve carried over into Family Investment Center. What’s something important that you learned? For the typical investment professional, sales skills are critical for success. Brokers making huge money aren’t necessarily those knowing the most about investing or providing the highest return to clients. Instead, these are usually people with strong social skills and a powerful ability to persuade. You sound as though this isn’t a good thing. It isn’t necessarily a bad thing. But it can be a bad thing. Remember, this is a sales environment. These people are usually paid by sales commission. An ability to persuade can be a dangerous thing when coupled with high sales commissions. So you dislike brokers. That’s what you learned? That’s not right at all! There are some brokers I like a lot and some with very high ethical standards. But I intensely dislike any commission system. It places a salesperson’s need above the client’s. A few good people rise above this structure, but I can’t think of a single argument why sales commissions are good for the consumer. They were designed to help the company. Yet, it is a salary system which has endured, even prospered, for decades. Of course it is. These firms used to have a monopoly on market information. You had to use a broker to invest because there wasn’t any other choice. Charles Schwab and the Internet changed all that for the better. Now anyone wanting information can find it. The Internet combined with 24-hour news coverage has virtually eliminated any information advantage, so that reason for using a broker has diminished. And, thanks to Charles Schwab, you don’t have to use a high-priced intermediary anymore to place stock or bond trades. Today, full-service brokerage firms look like dinosaurs. Banks aren’t much better. I’ve got a glass jar in my office that is full of matchbooks from now-extinct local banks. Why do you think they’re merging like mad and trying so hard to enter other financial businesses? Consumers simply don’t understand competitive pressures taking place in the financial services industry. If not traditional brokerage firms or banks, then what? What is the future for consumer investment services? Well, I can’t be sure. We believe that “commission-free” investment services are a clear improvement. Commission-free professionals earn fees directly from clients and avoid commission-based investments. Working directly for the client frees them to make quality recommendations without real or perceived conflicts of interest. That sounds much better. Why isn’t it the industry benchmark today? It is growing quickly and some major firms are trying to transition to fees. One sad truth is that client fees are often less lucrative for the professional. Fees can be a great tool for both the client and professional, but you’ve got to have some volume to earn a living. Many brokers, insurance agents, bank investment officers, and fund salespeople can’t gather enough investment assets to survive. So, they stick with more rewarding commissioned products. What about you? Your firm has used this fee-only model since inception. Does it work? It works great. We are truly independent – not related to any bank, brokerage firm, or insurance company ¬ and revenues come directly from providing client service. We please clients or we die. Just like my grandfather’s grocery store back in the 1930s. Having said that, though, it hasn’t always been easy. Things change very slowly in the Midwest and we compete against some very talented traditional marketers. And, of course, over half of our existence has been during the worst bear markets ever. But, we’ve built enough volume to survive and we’re gaining a reputation that allowed us to grow during a pretty tough period. All things considered, it been a pretty good run. No complaints at all from me. St. Joseph News-Press guest column "Hey, St. Joe: We've got talent"
One of my favorite celebrity quotes recently came from – I know this is risky, but I’m going to use it anyway – Charlie Sheen. In the midst of personal and professional turmoil, Charlie uttered a line I absolutely love, “I’m tired of pretending I’m not special.” It is very revealing. I often ponder similar thoughts in a gallery or at a concert. Did the artist have any appreciation for his or her own genius? Psychologists tell us we tend to “normalize” extraordinary things around us. Good or bad, we accept or adapt to almost anything we encounter. In simple terms, this means Claude Monet painted water lilies without much regard for how special his work was. McCartney and Lennon likely penned “Sergeant Pepper” or “Abbey Road” without a lot of angst or introspection. When you hear wondrous music in your head all day long, or you craft multiple visions of the same lily pond, it’s probably hard to fathom the specialness of your gift. Of course, some artists who do have a glimpse of their gift struggle mightily with that awareness. Artists with alcohol, drug or psychological problems are so common it’s almost expected of celebrity. Business genius fascinates me, too. It’s not a money thing, necessarily, but money can be a sign of extraordinary commercial talent. (Part of Charlie Sheen’s success is the marriage of comic artistry with business acumen.) Steve Jobs or Steven Spielberg come to mind as top business artists. Profits rise from selling a product or service. Remarkable profits rise from selling that product or service to masses of customers. Tally how many times you’ve seen “Star Wars” or “Raiders of the Lost Ark,” or count the number of Apple computers you see at Starbucks. Actually, Starbucks offers a pretty good illustration of how a successful business can alter an entire culture. From historical perspective, any business that survives beyond a single generation is uncommon. If it spans multiple generations and global markets – say, Hillyard Inc. or Gray manufacturing – that’s really rare and special. Starbucks may transform American culture, but solid local companies have sizable impact on lives, too. Sheen’s comment reveals awareness that some talent has remarkable business value. But I also recognize we normalize remarkable talent in our own midst. That’s why so many artists languish in obscurity until after their deaths. People around them – blinded by familiarity – overlook what’s obvious to future generations. Is there a lesson in any of this? I think there is. Let’s drop the local modesty and join Charlie. I’m tired of pretending we aren’t special. I work with a gifted team, and I’m certain St. Joseph is home to many gifted teams and people. It’s high time we recognize some of the greatness around us. We’ve been blinded by familiarity; St. Joe really has got talent. Let’s acknowledge our gifts. The Circumstance: Often, a surviving spouse is faced with daunting financial decisions at a time of maximum vulnerability. A survivor sometimes receives large life insurance payments, legal settlements, retirement benefits, and money from other sources. The Danger: Unfortunately, some individuals and firms market to these vulnerabilities with carefully devised presentations and strategies. Some boast bogus expertise or empty promises. Products are often very expensive, inappropriate for the individual, and inflexible for future years. The Culprit: A commission schedule is the culprit. Most financial products are distributed through expensive sales channels. A commissioned broker, insurance agent, or financial planner earns high sales commissions for marketing annuities, mutual funds, or IRA rollover accounts. Since survivors often control large pools of money, a crafty sales organization can create hefty profits. Many do. The Price: Free initial consultation. Registration, organization, and clerical services are available for an hourly fee. Investment management services are provided for an annual percentage of account value. Special projects quoted on a case-by-case basis. Nobody wants to think about the prospect of losing a loved one, and when we do we often have no idea where to turn. Find out what you own. Gather copies of your joint tax records, retirement plan statements, all insurance policies, bank and brokerage accounts, and the deed to your house. Bundle the documents in one big file that you keep in a safe but accessible place, such as a locked drawer. Order plenty of death certificates. You’ll probably need about two dozen copies of a death certificate to send to credit card companies, the company that holds the mortgage on your home, and insurers to verify his death. Request benefits. Notify past employers and file for any benefits owed, such as pension income, life insurance, and health insurance coverage. Talk to the person in charge of employee benefits (the human resource department can direct you). You may need to talk to more than one employer for more than one plan. Find out about settlement options. Some plans ask you to choose between a lump-sum payment or an annuity, which can be made every month or year. File for life and other insurance. Alert your life insurance company and file a claim. Your insurance agent should have all the policy information you will need and be able to help you obtain the necessary forms. Notify government agencies. The Social Security Administration will need to be notified. You must have been married for at least nine months before your spouse’s death to be eligible for benefits, unless his death was the result of an accident or military service. Also, you should contact the motor vehicles bureau in your state to change car registrations to your name. Contact banks, brokerage, and investment firms. Any joint accounts should be transferred to an account in your name. (You will need a copy of the death certificate to do so.) In many cases, you could be able to renegotiate the terms of any outstanding loans with your banker. If your spouse had a brokerage account, ask the broker to give you a value on the date of death. Estate taxes – if any – will be based on the valuation of assets in all accounts. Review all insurance policies. Also update any life or disability insurance policies. If your spouse worked for a company that has a health plan covering 20 or more employees, the plan may continue to offer you and any dependents coverage for up to three years. Invest wisely. This is not the time to be taking hot stock tips. Most financial planners recommend that you refrain from investing any lump-sum insurance or pension payout for at least six months, and ideally a year, after your spouse’s death. Stash any cash into liquid money market funds, or short-term certificates of deposit or Treasury bills. Take your time. After you have negotiated through the must-do list and found the crucial documents, take a break. Don’t be pressured to make big financial decisions. When you are ready to take action, it’s a good idea to set up an appointment with a financial advisor to help you develop a short-term and long-term investment plan. 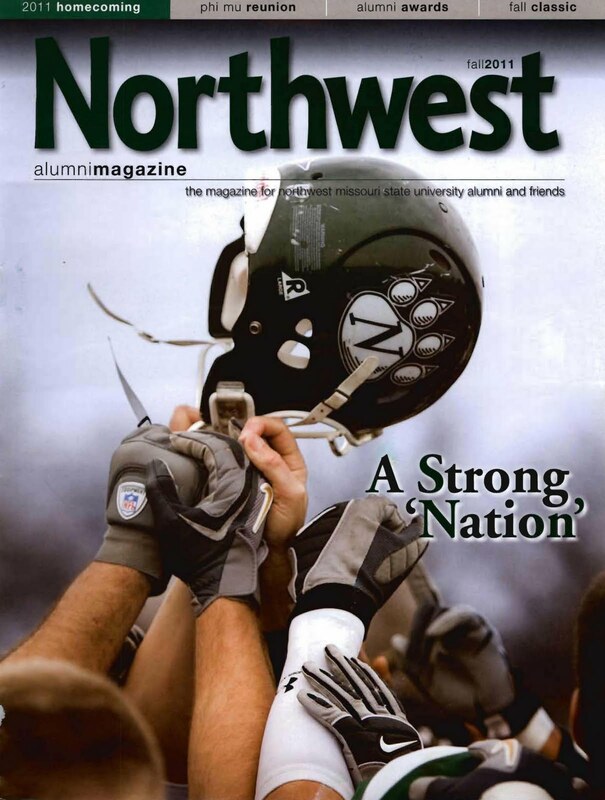 Dr. Jason White, Principal and Director of Investments at Family Investment Center and Associate Professor of Economics at Northwest Missouri State University, was recently published in the university's alumni magazine. In the article, Jason reflects on his experiences as founder and faculty adviser for the school's Students in Free Enterprise (SIFE) team and the importance of a free enterprise capitalist society.